Mahindra is offering Superstyler kit for the TUV300 SUV and the manufacturer has revealed an image online loaded with the accessories offered under the Superstyler kit. Mahindra has been providing factory-made accessories and custom options to its customers. The Superstyler kit comes offering several exterior accessories adding boldness to the SUV to enhance the Mahindra TUV300’s appeal further. 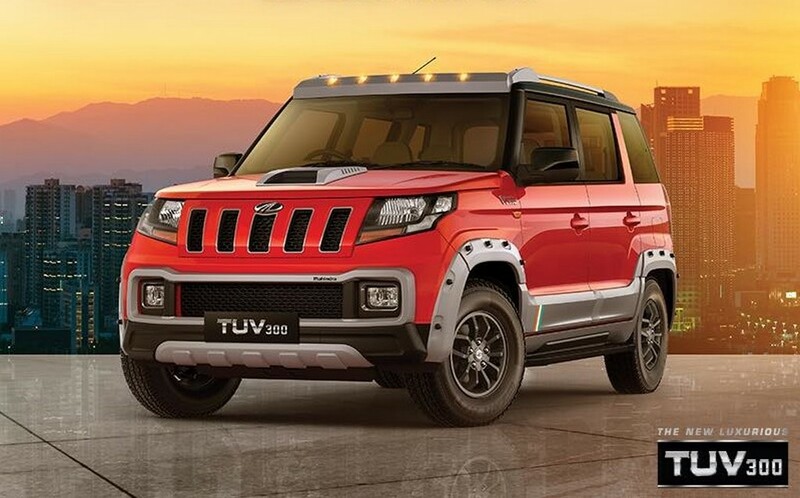 The TUV300 subcompact SUV was not a huge success for Mahindra and these levels of customization option should attract more traction in terms of sale. Bonnet scoop, roof rails, and wheel arch cladding finished in grey. Black finish alloy wheels and two-tone exterior called Dynamo Red. Individual pricing of each accessory are yet to be revealed officially. However, The Superstyler body kit is a dealer level modification. There is no mechanical change in the SUV. On the powertrain front, the Mahindra TUV300 will continue getting energy from a 1.5-litre mHawk diesel engine that churns out 100 bhp of peak power and 240 Nm of peak torque. The engine is available with a 5-speed manual gearbox, while there will be a 5-speed AMT as well.